AMD has officially launched four new CPUs based on its 14nm Zen die architecture. 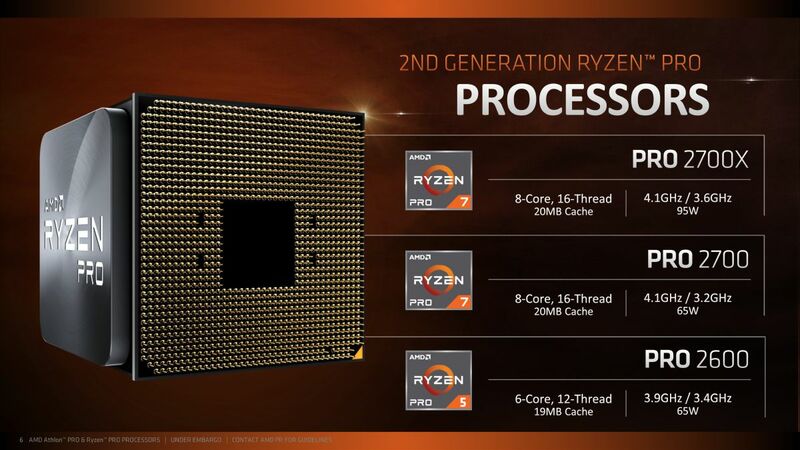 The processors in question are the AMD Athlon 200GE and Athlon PRO 200GE alongside the Ryzen 7 PRO 2700X, Ryzen 7 PRO 2700, and Ryzen 5 PRO 2600. The AMD Athlon 200GE features 2-cores, 4-threads, and comes with a base clock speed of 3.2GHz. Additionally, the processor also comes integrated with three Graphics Compute Units that are based on AMD’s Radeon RX Vega GPU architecture. In terms of power consumption, the Athlon 220GE only needs a total TDP of 35W. 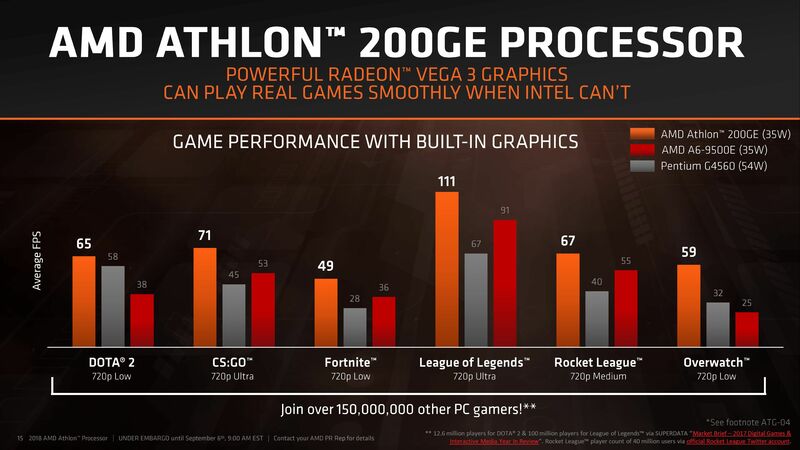 AMD is aiming the Athlon 200GE towards the entry-level market segment. Specifically, the target market is gamers looking for an entry-level CPU that doesn’t break the bank, allowing them to spend a little more on a more powerful graphics card in order to accommodate for their gaming needs. 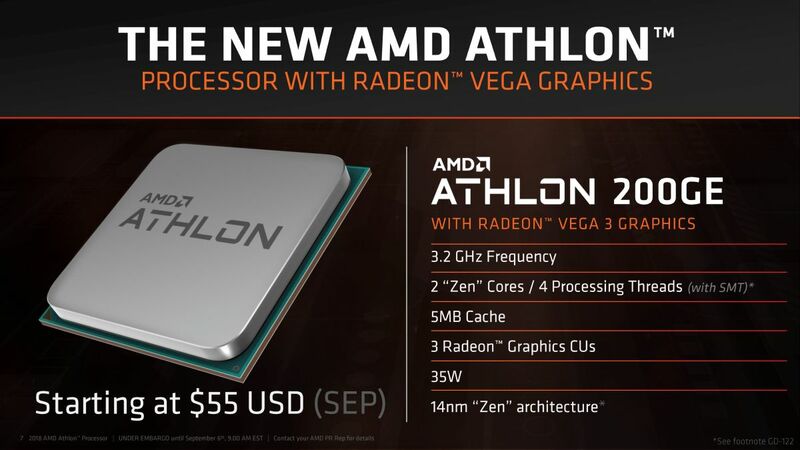 The AMD Athlon 200GE will cost US$55 (~RM227) at launch. It is expected to be available to be made available starting this month. 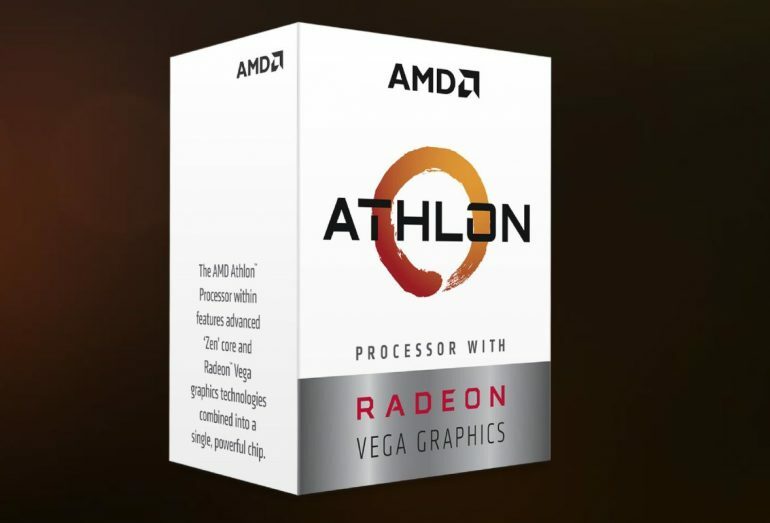 Moving on, AMD also released a PRO version of the Athlon 200GE. In comparison, the PRO version is basically an exact copy, the only difference between that the PRO version caters towards the professional market segment. The second generation Ryzen PRO CPUs are also essentially mirrors of their non-PRO counterparts, albeit with a few differences. 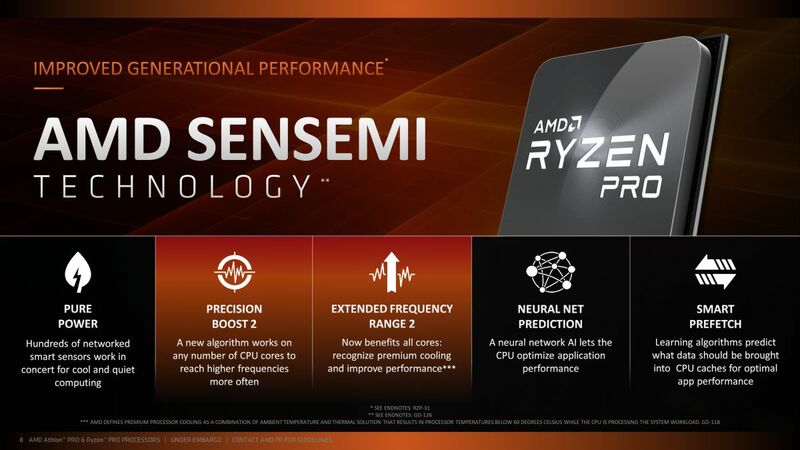 Besides that, the CPUs support all of AMD’s currently existing CPU technology, including the latest version of SenseMI. The lowest-tier of the new series, the Ryzen 5 PRO 2600, comes with 6-cores, 12-threads, while both the Ryzen 7 PRO 2700 series CPUs feature 8-cores, 16-threads. The clock speeds and TDP for all three Ryzen PRO CPUs are as listed below. At the time of writing, AMD did not specify an availability date or pricing for its new second generation Ryzen PRO CPUs.